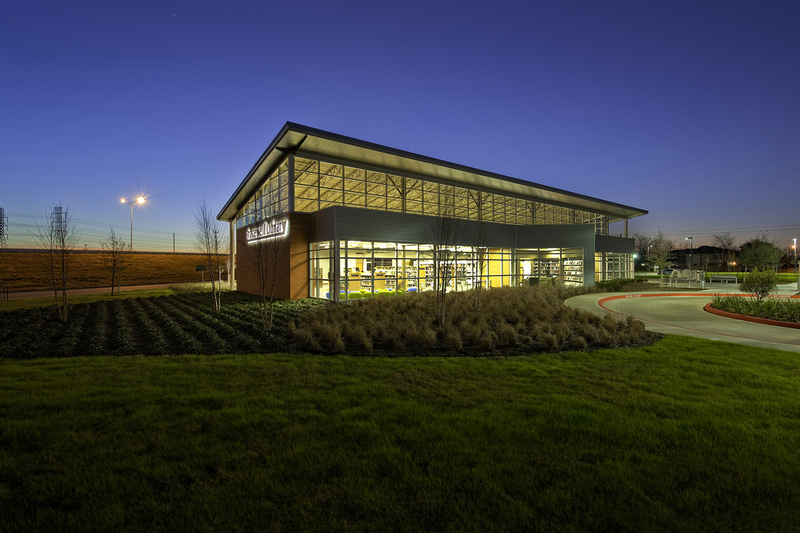 m ARCHITECTS chose to site the building such that both a freeway presence as well as neighborhood presence is achievable. The design intention was to moderate between the large scale of the freeway and the smaller scale of the surrounding neighborhood. The building is a single story structure, and clerestories are used to address the scale of the freeway and to allow more light into the central service area. Pedestrian elements and smaller scale protected outdoor spaces are utilized to address the residential community. 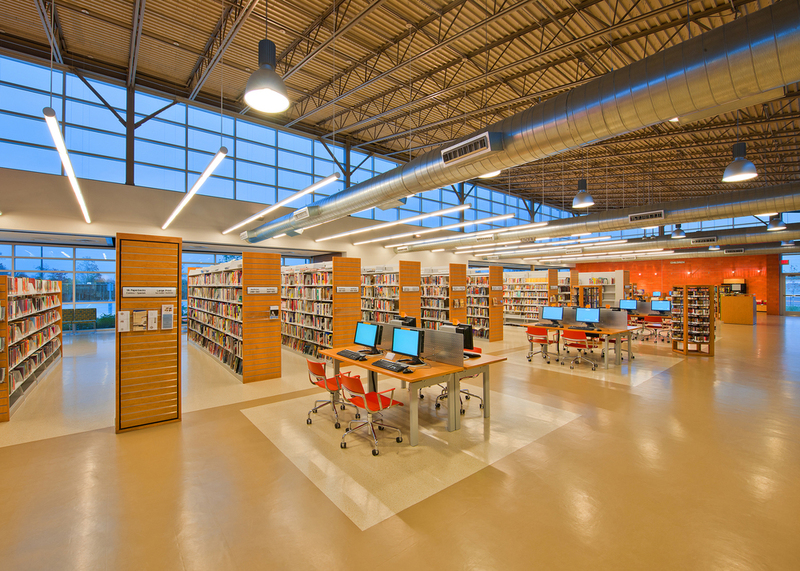 The program includes an adult, teen, and children’s collection along with computer work stations and community meeting rooms. Environmental solutions for the site conditions, indoor air quality, and selection of materials earned the project LEED certifcation.